B&B Ristorante is one of many of celebrity chef Mario Batali’s Italian restaurants. It is also one of four of his restaurants in the Venetian and Palazzo properties. I had dined here once for my 21st birthday and loved their desserts so much that I knew I had to return one more time for the Dessert Tour before Adam and I moved to Texas. 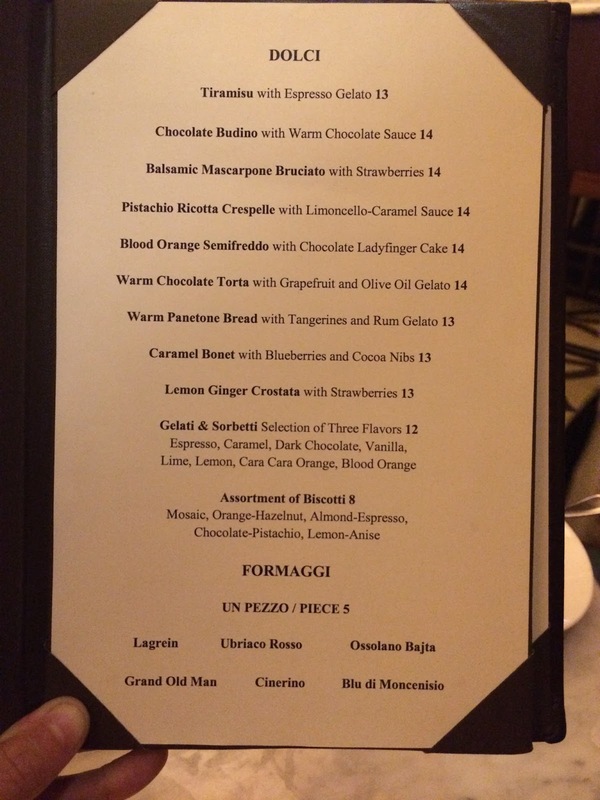 This is also Adam and I’s second restaurant and Dessert Tour post from a restaurant of Mario Batali’s. We dined in the lounge area, an inside, “outside” patio. With the gondolas gliding down the indoor canal and the rest of the Italian ambience of the Venetian and restaurant it was like we were really in Italy watching people pass by as we indulged in our desserts. When I dined here the first time the pastry chef was Doug Taylor, today it is Jessica Antonaccio. Luckily for us the dessert menu featured desserts from both chefs, fan favorite desserts of Doug Taylor’s remain, while also showcasing Jessica Antonaccio’s prevailing desserts. When a server finds out we are just dining in for dessert we usually either get an enthusiastic person who loves that we want to just indulge in sweets or we get someone that is just there to do there everyday job. 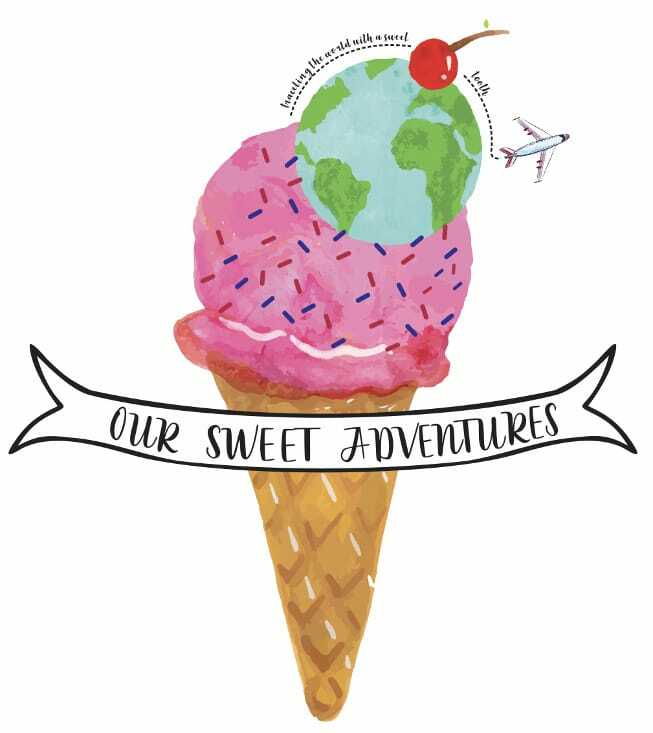 On this particular day we got the best server I have encountered and he made our Dessert Tour more than just a dining experience – it was a great learning adventure! That is one thing I love about our Dessert Tour – is making relationships with our servers and getting them involved because most of the time they can see my excitement and curiosity for every dessert on the menu. Unfortunately I cannot remember his name, but I did leave him a great comment card that I hope he received recognition for because he was very personable and knowledgeable with their menu. Lastly, before I start reviewing the desserts I have to acknowledge pastry chef Doug Taylor because every time I mention his name in Vegas to someone that knew him I get the most enthusiastic responses of how amazing he was as a chef and person. The server here had nothing but amazing words about Chef Doug and it was refreshing to get a glimpse of his work ethic and great leadership. I once met him years ago and to this day I get inspired every time I look back at that meeting. He had taken the time to meet with me and answer all my annoying questions and then took me on a tour of his kitchen and had me taste some of the best chocolate. So I would like to just tip my hat to Chef Doug for still inspiring to this day and continuing to grow the pastry industry. When I had this tiramisu the first time it was heaven and I can always remember how amazing it tasted. Back then I would have given this dessert 11/10, but today it received 9, which is still very good! The flavors were still all there it was just not executed as perfectly as I remembered. 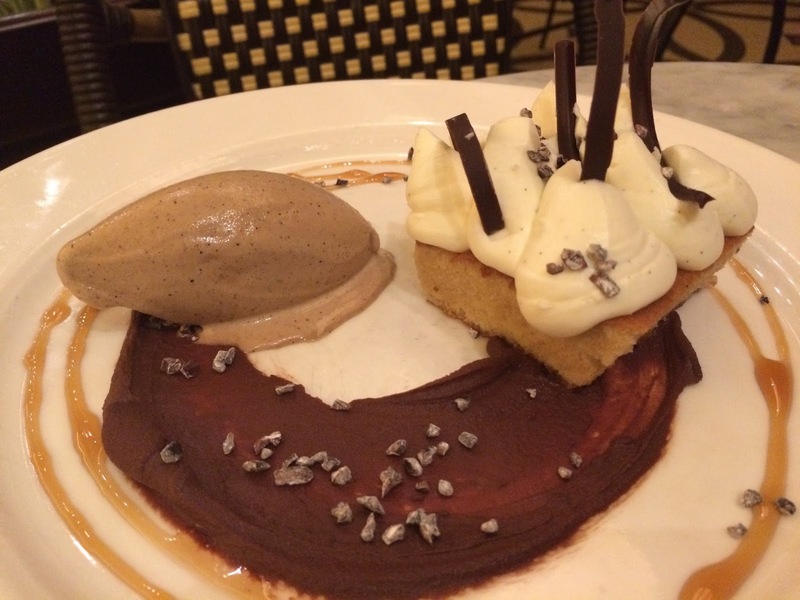 This tiramisu is deconstructed and brilliant! The ladyfingers are soaked in espresso followed by mascarpone cream on top and chocolate curls. The marsala wine is reduced and is circled around the plate. A quenelle of espresso gelato with some candied cocoa nibs sprinkled over the top of the dessert. The chocolate is Amano Dos Rios 70% (the chocolate I talked about getting a taste of from Chef Doug) is spread elegantly. The cake was thick and is the only downfall of this dessert because it was a little on the dry side. The marsala wine was wonderful with a surprising kick at first and then finished so sweetly. The candied cocoa nibs were also sitting underneath the espresso gelato and added a nice contrast of texture giving the bite of espresso a little crunch and sweetness. 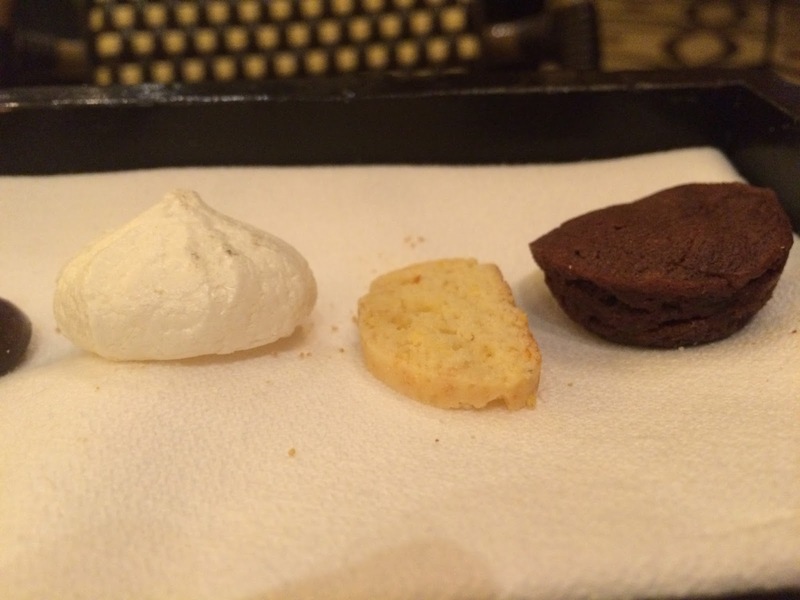 The mascarpone cream was luscious and lastly the chocolate – the star on this plate because its texture was nothing I have ever encountered before. In fact it is a chef secret because this was the one thing our server did not go into further detail to explain and just responded with, “Doug is stumping you on this one”. The texture was out of this world – the chocolate was not melted but it did melt in your mouth and was creamy and smooth like a cremeux. I truly was stumped on this one – the chocolate made me speechless, so much natural flavor from its origin. As a whole this dessert is rich, well balanced with its sweetness and powerful flavors. The plate replicated a smile and this dessert definitely leaves you with a smile on your face. A beautiful, refreshing take on my favorite classic dessert! A bruciato is Italy’s version of a creme brûlée, but to me and this dessert in particular, is the baby of a cheesecake and creme brûlée. I loved this dessert so much it took me until there was one bite left to realize I forgot to take a picture of what this dessert looks like inside… my apologies. This dessert uses a three year old balsamic vinegar with mascarpone cheese for the “custard” with caramelized sugar and fresh Harries berries on top. The texture of the custard is not like your typical creme brûlée – silky smooth, this custard replicated more of a cheesecake texture – smooth, creamy and dense from the mascarpone cheese. Every bite is packed with flavor and texture – the strawberries are filled with a burst of sweetness followed by the crunchiness of the caramelized sugar and then the creaminess of the mascarpone filling that almost cleans the palate. Its the three year old balsamic vinegar that finishes this bruciato strong with a kick of acidity and a lasting sweet taste. This dessert was fantastic and heavier than it looked. 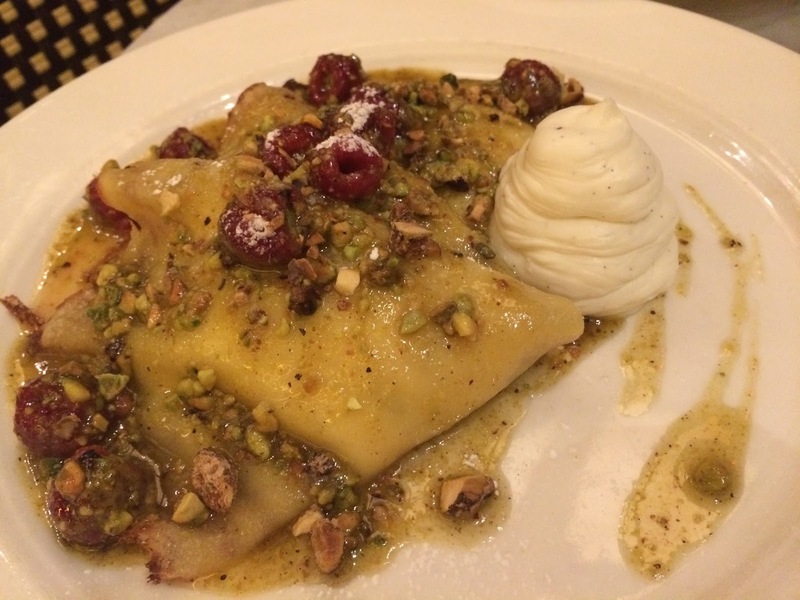 The crespelles (Italian crepes) were very thin, served warm and filled with an elegant lemon-pistachio cream. Drizzled on top was pistachio butter and a limoncello caramel….YUMMM. The last components were chunks of candied pistachios, fresh raspberries and a dollop of whipped mascarpone cream. 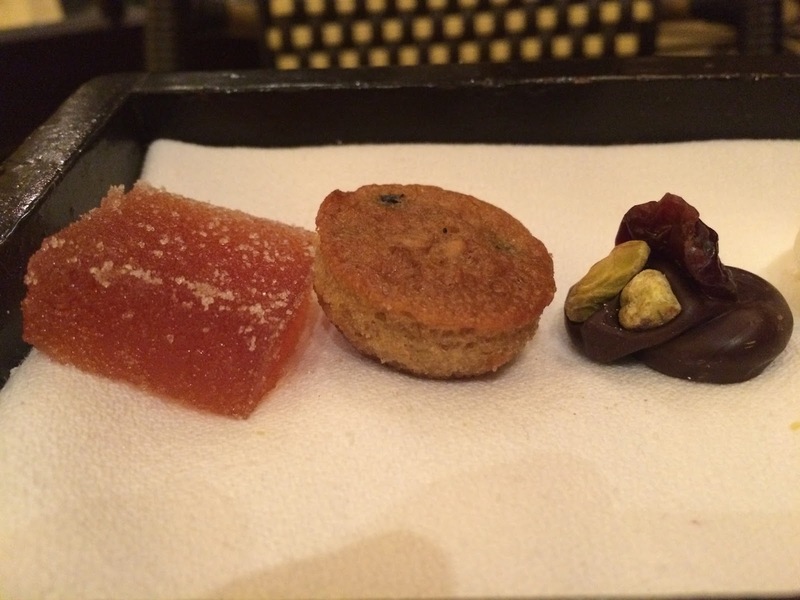 This dessert as a whole was more earthy than sweet. The cream filling was amazing! Soft, heavenly texture from the ricotta cheese with a light refreshing taste from the lemon followed by the nuttiness of the pistachios. Both the raspberries and the limoncello caramel added a nice pop of tartness. The limoncello caramel was also not the typical caramel where it is thick and creamy, this was more like limoncello reduced into a syrup which enhanced its sweetness and tartness. Like stated before this dessert was a little heavy and therefore is suggested to be shared, but it is so delicious that sharing could be unnecessary. Semifreddo is a semi-frozen dessert and is the perfect dessert for the summertime. 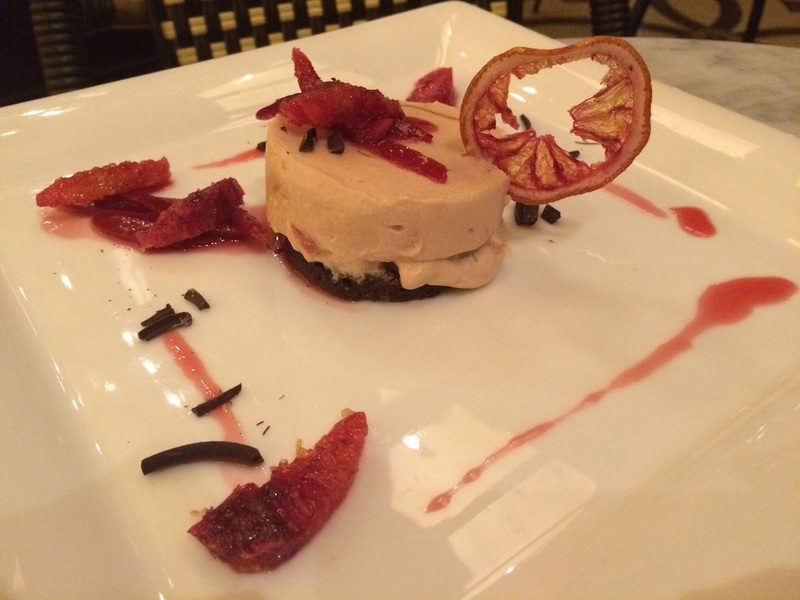 This was a blood orange semifreddo, both acidic and citric, with slivers of candied blood orange peel and chocolate. The slivers of candied blood orange were small and added a nice crunch for a contrast of texture from the smooth semifreddo. Sitting under the semifreddo was a chocolate ladyfinger (sponge cake), and was by no means mushy. 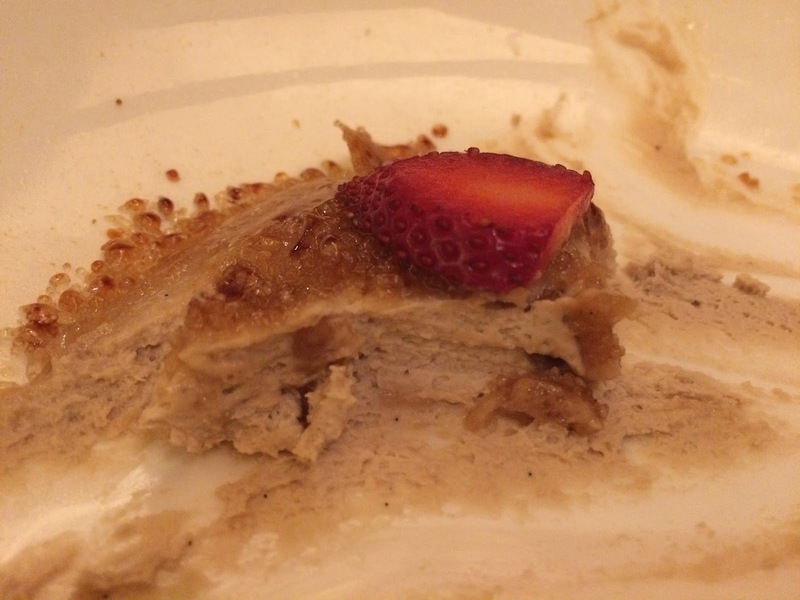 It actually had a nice structure of being firm and crumbly despite being under a frozen dessert that eventually melts. Besides texture the cake also added some sweetness that balances the tartness of the blood oranges. Decorated throughout the plated dessert were blood orange segments, a blood orange syrup and a blood orange peel that was poached in a vanilla syrup and was quite sweet and delicious. The tartness from the dessert as a whole really hits the palate in a very pleasant and refreshing way while the chocolate can help restore some sweetness. The gelee was chewy but had a nice bite to it with a good balance between the sweetness and tartness. This was a nice and simple bite. For a small bite the cake was as soft as a pillow and packed with the flavors of oatmeal and raisin. Loved it! Just like the chocolate in the tiramisu this dark chocolate was delicious. This small bite was decadent with brandy soaked raisins and toasted nuts to balance the rich dark chocolate. Soft, light and chewy. This was the one dessert from the whole evening that was not flavorful. Did not taste the lemon which could have been vibrant in this meringue. 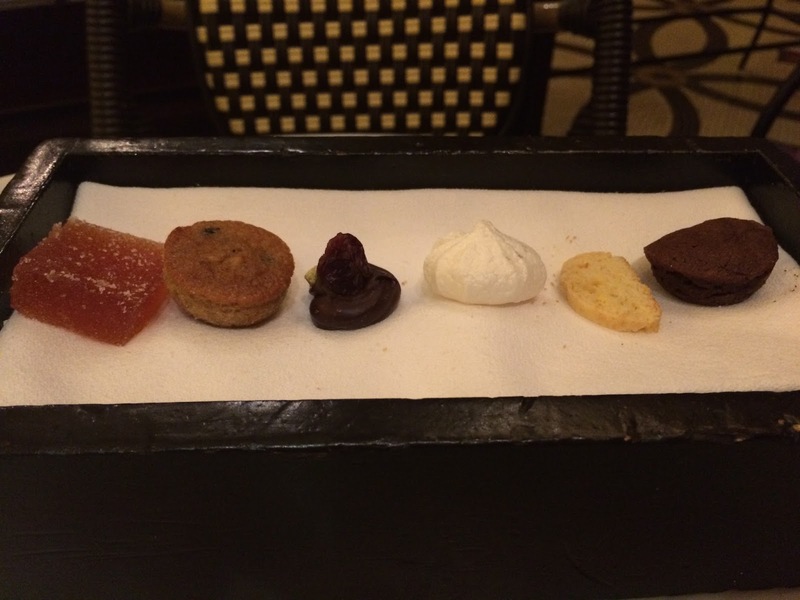 A thinly sliced cookie that was crunchy and sweet with a lovely hint of citrus. Oh my goodness!!!!! This is just like I remember years ago – absolutely amazing! My best friend, Mary, and I loved it so much when we first dined here that I had actually purchased 21 for her 21st birthday. The ultimate, tender chocolate cake that is rich and just melts in the mouth – almost like a pudding. My mouth is watering again thinking about how this one small bite is so delightful.